The passion for all things Singaporean has sparked a new trend in the snacks industry, with items such as a coconut curry lime-infused nut mix and sesame and onion- flavoured shortbread cookies. At least five home-grown snack companies have popped up over the past 11/2 years, concocting creative local flavours for nuts, granola, potato chips and cookies. Newcomers on the scene include the month-old Provisions, which makes gula jawa (coconut sugar) brittle, curry shortbread cookies and curry-coated cashew nuts. 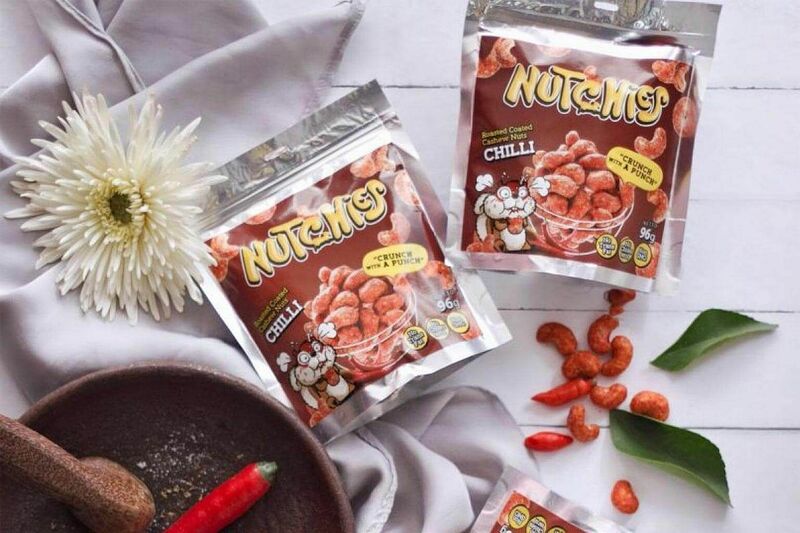 Nutchies, a year-old cashew nut company, offers flavours such as chilli. The slew of start-ups is likely to be encouraged by the success of early birds such as Irvins Salted Egg, which is known for its salted egg-coated potato chips and fried fish skin. Over the past two years, Irvins has expanded to six outlets. Last month, it opened its first overseas outlet in Manila. Another early bird is The Golden Duck Co, which started in 2015 and sells salted egg yolk snacks at six outlets, including Chevron House and Parkway Parade. Despite having to compete with major brands in supermarkets, these start-ups bank on the strong snacking culture here and target tourists looking for unique food souvenirs. Most of these companies started as pop-up stores, which are frequented by young adults who are more receptive to trying snacks with new flavours, even if they are pricier. Many of these snacks, produced in small batches, are two to three times more expensive than supermarket brands. One company, Yolky Chips, has seen demand for its salted egg yolk and truffle-flavoured potato chips double over the past six months since it started in May last year. A few hundred packets are sold here each month. 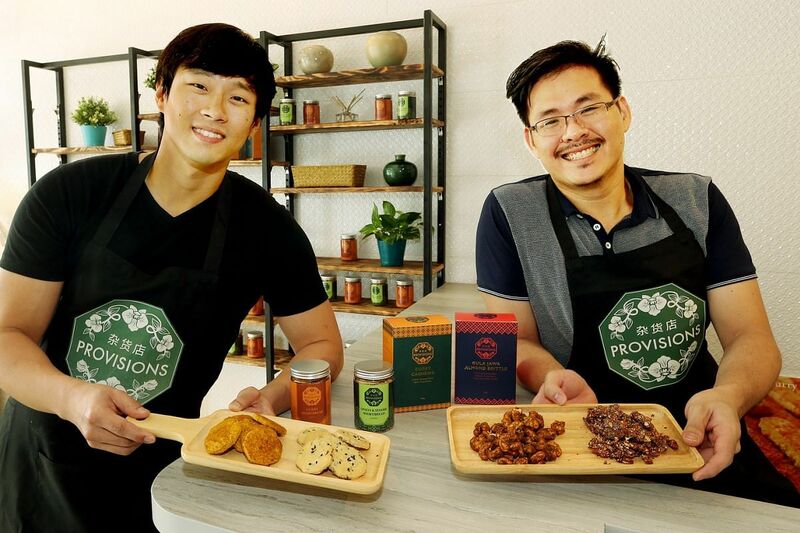 Co-owner Mas Raihan Sulaiman, 43, says he and his business partner, Mr Branden Chung, 42, started their company after seeing how Irvins Salted Egg created waves in the snacks scene. "Everyone loves to snack," he says. "Once you hit the right product formula, it is easy to grow the business." He adds that locally made snacks have the potential to expand overseas because of Singapore's "high level of food safety regulations". Yolky Chips is stocked in lifestyle shop Naiise's Kuala Lumpur outlet. Nutchies offers cashew nuts in nine flavours, including wasabi. Co-founder Kenneth Ho, 30, says: "Cashew nuts used to come in limited flavours. With these new flavours, they can be re-invented as a fun party snack." Monthly sales have doubled to 7,000 to 10,000 packs since it started in September last year. Beehivee Crispies, meanwhile, is modernising traditional flavours with its kuih rose, or honeycomb cookies, which are studded with sesame seeds and come in chic tin boxes and re-sealable paper packs. It sells about 50 packs a month. Co-owner Foo Cher Fang, 36, who uses his mother's kuih rose recipe, says: "In Japan, the Tokyo Banana cake is a distinctive food souvenir. By revamping kuih rose, I can fill the gap of having a Singapore heritage snack for tourists to take home." Provisions co-owner Nicholas Tan, 33, also sees tourists as a crucial part of his business plans. He says: "We hope tourists can find out more about Singapore through these snacks that are more representative of the diverse flavours here." Even health snacks now come in local flavours. Amazin' Graze, which has a four-month-old kiosk in Raffles City Shopping Centre, sells about 20 types of granola, nut mixes, nut butters, chia seeds and flax seeds. It has another retail shop in Kuala Lumpur and an online presence in Hong Kong and Dubai. About half its products come in Asian flavours. For example, Coconut Kaya Granola, which has baked rolled oats and nuts coated in kaya made with organic molasses, was launched last month. Popular nut blends come in flavours such as coconut curry lime and tom yam kaffir lime. Mr Hayden Leow, 28, Amazin' Graze's director, says sales have grown by 10 to 15 per cent month on month, with about 5,000 packs of granola and nuts sold in Singapore monthly. Its products will be stocked in major supermarkets here in November. Last month, it received $800,000 in funding from a Singapore-based private investor, which will allow it to move to a bigger central kitchen in Kuala Lumpur and boost production by up to tenfold. Getting more awareness in the snacks market is a key challenge, says Mr Leow. "Imported health food from Western countries tends to be bland and unexciting. Snacks in familiar flavours resonate better with Singaporeans and help to break down the barrier to trying health food, which has a niche appeal." What: Snack healthily with more than 10 flavours of granola and gluten-free nut mixes. Bestsellers that come in innovative Asian flavours include the Coconut Curry Lime Nut Mix ($7 for a 120g pack), which has sweet curried pecans roasted with coconut flakes and tossed with lime-infused cashew, and Pandan Coconut Nut Mix ($7 for a 120g pack), a trio of pecans, almonds and cashew nuts candied in a pandan coconut glaze. Asian-inspired granola flavours include Salted Gula Melaka (from $2.50 for a 40g pack), which has rolled oats, almonds, cashews, flax seeds and coconut flakes baked in gula melaka sauce and topped with mulberries and cranberries. The Blueberry Goji Coconut Granola (from $2.50 for a 40g pack) has coconut-infused rolled oats, nuts and chia seeds with blueberries, goji berries and raisins. Gluten-free granola is also available. 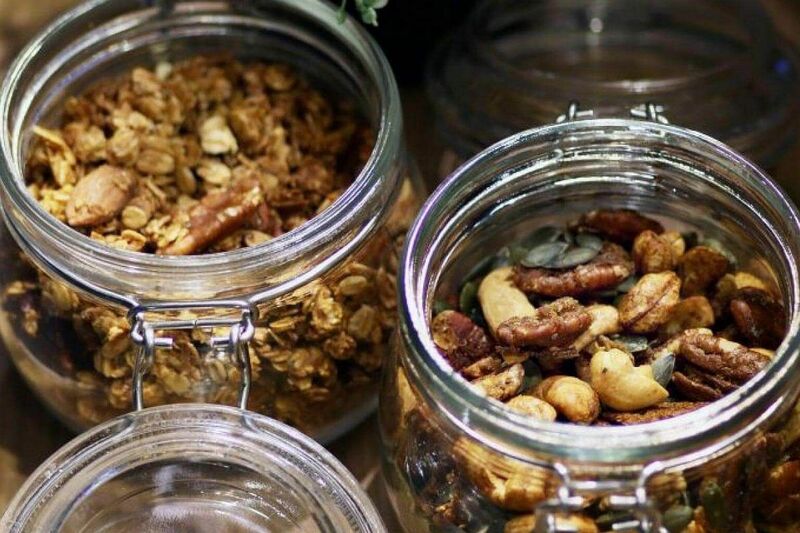 A dietitian concocts the granola and nut mixes to ensure that they are loaded with fibre, protein and antioxidant-rich food, such as chia and flax seeds. The products are sweetened with organic molasses, honey and dried fruit. The snacks are produced in a central kitchen in Kuala Lumpur and fresh stock is brought over every two to three days. Amazin' Graze also produces seasonal cookies in flavours such as chrysanthemum and pulut hitam. Products such as granola bars are in the works. A request from a friend to make unique wedding favours three years ago sparked the idea of starting a snack shop in the minds of Mr Nicholas Tan and Mr Paul Ng, both 33. After tinkering around in the kitchen for a few months, the secondary school buddies and avid home cooks concocted two snacks for the wedding: gula jawa (coconut sugar) brittle studded with almonds and desiccated coconut, and curry-coated cashew nuts. The locally inspired nibbles proved to be a hit and orders started pouring in from friends and family. Last October, they started their snack outfit, Kam Cheng Snacks, selling those two products from a section of Dough & Grains bakery in Chinatown Point. The Gula Jawa Almond Brittle ($10) is made with unrefined Indonesian coconut sugar and French butter, and the Curry Cashews ($8) are coated in a curry leaf and curry blend. Spurred on by growing demand for their snacks, they moved to a 300 sq ft shop in MacPherson Road last month and renamed their business Provisions, to reflect plans to make a broader range of products. It now also sells savoury shortbread cookies ($5) in flavours such as curry, and onion and sesame. Another reason for entering the snack business was Mr Tan's pet peeve with Merlion-shaped chocolates commonly found in souvenir shops here. The former civil servant says: "These chocolates are generic and poorly represent the bountiful flavours that we have in Asia. So I wanted to create food souvenirs that are more representative." Business has been picking up and the shop sells about 100 boxes of gula jawa almond brittle and curry cashews a month. To keep their business sustainable, they also run a bakery selling Asian-inspired confections, such as osmanthus and bandung roll cakes(from $1.50 a slice), pandan gula jawa cake ($35) and oolong and walnut loaf ($1.90). They also intend to target tourists by selling their products in souvenir shops in Changi Airport, hotels and other retail shops. Mr Ng, who used to work in his family's commercial kitchen business, says: "Tourists have higher spending power and tend to buy these snacks as gifts." 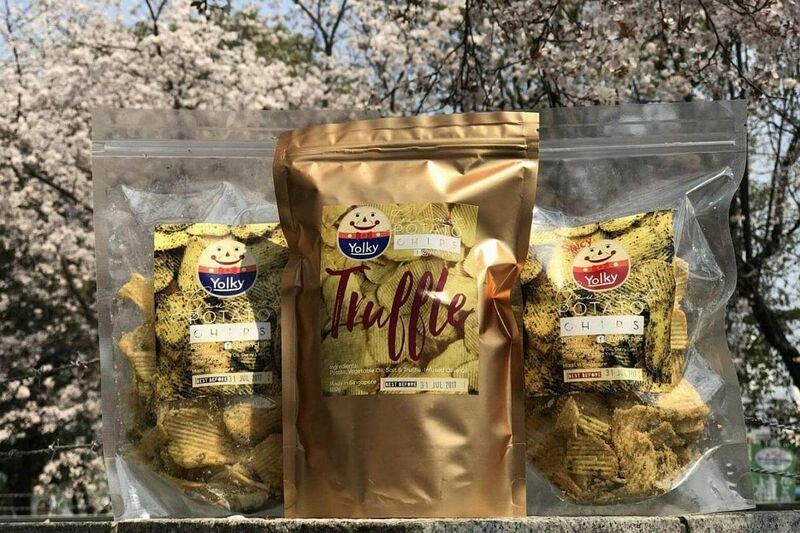 What: This home-grown outfit that started in May last year offers potato chips in three flavours: Salted Egg Yolk, Spicy Salted Egg Yolk ($5 for a 80g pack, $10 for a 160g pack) and Truffle-flavoured potato chips($10 for a 120g pack). The potatoes, which are imported from Germany, are crinkle-cut and fried before being hand-coated with salted egg yolk powder and curry leaves or perfumed with white truffle-infused olive oil. The potato chips are produced in a cooking facility here. What: Go nuts over cashew nuts that come in nine flavours inspired by potato chips. Popular ones ($3.80 for a 96g pack, $7.50 for a 197g pack) include mayonnaise, wasabi and chilli. The cashew nuts, which are sourced from Indonesia, are coated with a milk layer, which ensures that they remain crisp and hold the seasoning better. They are produced and packed in Indonesia, and shipped here every three months. The products are halal-certified in Indonesia and the company is applying for halal certification here. Co-owner Kenneth Ho says 90 per cent of his customers are female office workers. The nuts are also a hit with tourists from Malaysia, Brunei, China and South Korea, who buy them in bulk. Nutchies takes part in monthly food events. Its next event is the Mid-Autumn Fair in Compass One (1 Sengkang Square), from Sept 18 to Oct 8, 11am to 9pm daily. Info: Go to www.nutchies.com. Free delivery for orders above $80. 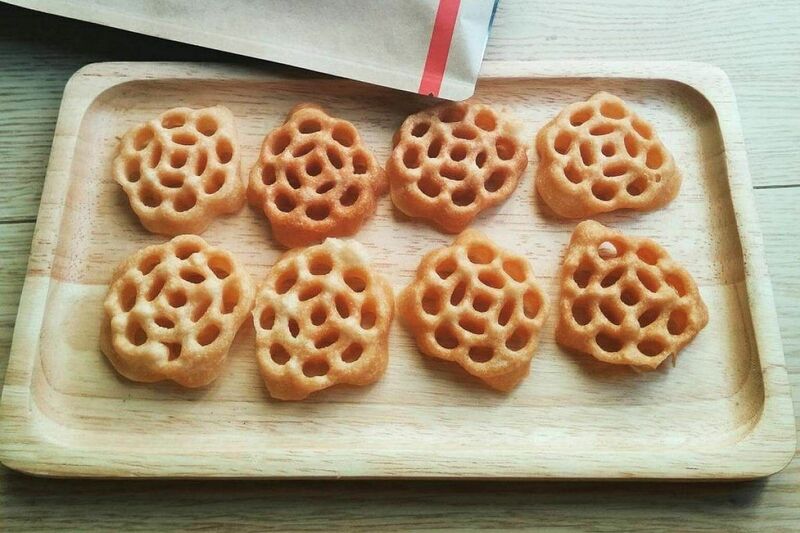 What: Kuih rose, or honeycomb cookies, get a modern makeover at this online snack start-up. It is the brainchild of brothers Foo Cher Fang and Cher Hong, who grew up helping their mother make and fry this traditional cookie for festive occasions such as Chinese New Year. Besides the original flavour, they have also jazzed up the kuih rose with white and black sesame seeds to add fragrance. The brothers fry the cookies once a week at a coffee shop stall in Toa Payoh. Instead of typical red-capped plastic containers, the kuih rose are packed in resealable paper bags ($2.50 for a 70g pack) and stylish tin cases ($14 for 300g). Info: Go to www.beehivee.com.sg or shopee.sg/beehivee. Free delivery for orders above $25.